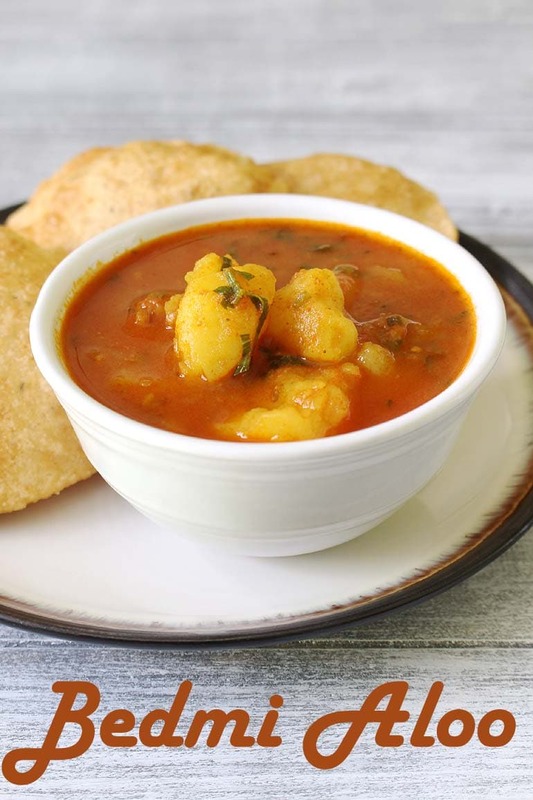 Bedmi Aloo Recipe – Spicy, delicious, chatpati potato gravy is served with bedmi puri. 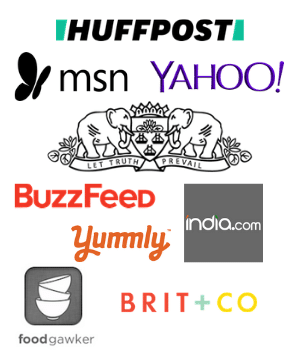 This is popular North Indian breakfast and you will find it as a street food there. This bedmi aloo sabzi has thin gravy compared to other gravy/curry dishes. When you dunk garama garam puris into the gravy and eat, you will feel flavors bursting in your mouth. This is very quick to make. Only you need to plan and boil the potatoes ahead of time. If this is ready then sabzi will be ready in just 10-15 minutes only. The gravy is made from tomatoes and some spice powders. Because this gravy is slightly watery thin, the flavor comes from spice powder and whole spices added in tempering. This bedmi aloo is no onion no garlic recipe. There is another similar aloo tamatar ki sabji I have shared, but it has onion garlic in it. 1) Boil the potatoes into pressure cooker. Once cool to touch peel them and roughly crush them into big chunks using your hand. 2) Also puree the tomatoes into grinder and keep it aside. 3) Heat the oil in a pan on medium heat. Once hot add cumin seeds, coriander seeds, fennel seeds and dried red chili. 4) Mix and saute for 1 minute. 5) Then add chopped green chilies and cook for 30 seconds. 7) Mix and let it boil. 8) Cook till it becomes thick paste and oil starts to ooze out from the sides. 9) Now add salt, red chili powder and turmeric powder. 11) Add crushed potatoes and water. 12) Mix and let it simmer for 4-5 minutes. It has slightly thin gravy, so adjust the water as needed. 13) Now add amchur powder and garam masala. 14) Mix well and turn off the stove. 15) Lastly add chopped coriander leaves. 16) Stir well and it is ready to serve. As times goes gravy becomes thick. So adjust the consistency by adding more water if serving it later. 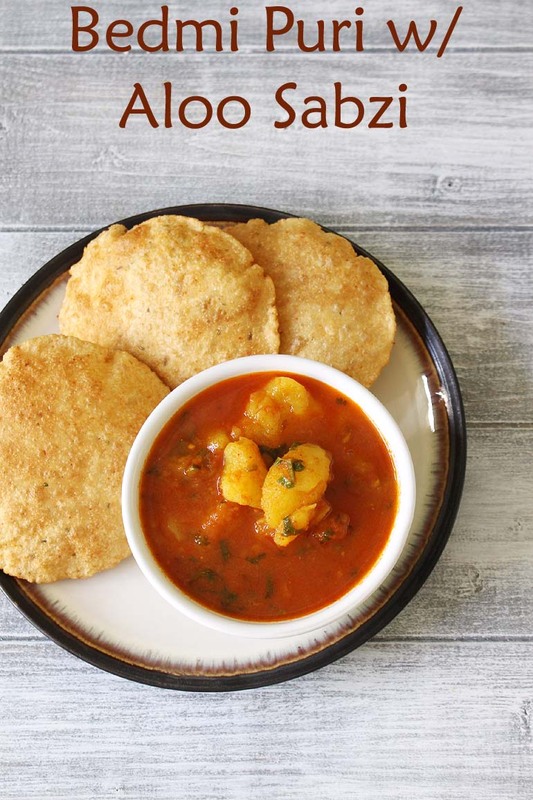 Serving suggestion: Serve bedmi aloo sabzi as a breakfast with bedmi puri. This can be served with kachori, roti, paratha or poori. Bedmi Aloo Recipe - spicy, delicious potato curry served with bedmi puri. Boil the potatoes in the pressure cook till soft. When cool to touch peel them and roughly smash them into big chunks. Puree the chopped tomatoes into grinder and keep it aside. Heat the oil in a pan on medium heat, add cumin seeds, coriander seeds, fennel seeds and dried chili. Saute for a minute and then add green chilies, cook for a minute. Mix in tomato puree and cook till it becomes thick and oil starts to release from the sides. Add salt, turmeric powder, red chili powder and mix, cook for a minute. Add mashed potatoes and water. Let it simmer for 4-5 minutes. Mix in amchur and garam masala powder. Turn off the stove and garnish with chopped coriander leaves.